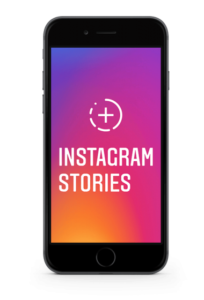 This article is dedicated to a few ways to boost your Instagram profile, and we have several tricks you probably never heard of. 4. Who will be more likely to follow you? You can use up to 30 hashtags under one photo, adding them to description or in comments below. We advise you to try using both these methods, and soon you’ll understand why. Once you post a picture with relevant hashtags, keep an eye on what will be happening. Almost immediately after the posting, you will start getting likes and comments in split seconds after the posting! The most popular hashtags cause fast reactions, and people will start liking it immediately – this is the first wave, and it’s important to make use of it! IN the first couple of minutes a good picture can collect dozens or hundreds of likes, and after another 5-10 minutes this reaction will subside almost to zero. Instagram researches are convinced that the first wave is about the most loyal users. These are the most likely to follow you back, and it means that this is the golden time to get new subscribers to your profile. Use the first minutes to check who put a like on your post, to give them 2-3 likes in return and to follow them. Some specialists say that their response rate reaches 65-75%! When the first wave of likes subside (usually after 3-5 minutes), you can remove the first 30 hashtags that you used in description under your photo and to publish another 30 hashtags in comments (not in photo description, but in the very comments). After this you can edit the publication once more, having substituted the 30 hashtags of description with the other batch of trending hashtags. This will provoke 2nd and 3rd waves of likes and follows. These will be not so active, though. Who will be more likely to follow you? The second wave of likers have such a pecuilaruty – they are not so active, and you should look for potential followers among those who don’t have much friends and are looking for contacts to communicate with. Thus, it’s more beneficial to choose those who have 200 subscriptions rather than 2000. With these 3 waves it is very possible to get 100-200 likes, and it means that your post will be on top at least by the least popular hashtags. If it didn’t happen, here is another strategy – use the power of Instagram cats. It’s not a secret that one of the most popular topics on Instagram is cats – they always get incredible amounts of likes. Thus, you can check the most recent pictures of cute pets and to give likes to those who were posting these pictures. You can select hashtags for cute cats, dogs, and other pets – the amount of these pics on Instagram is endless. After small efforts with cats and dogs your picture will finally be in TOP, and here the last wave will start – it’s the least active, but it’s surely the longest. It can last up to several hours or several days. This strategy may bring even a very casual photo to Top and collect hundreds of likes and dozens of followers. What to talk of good quality photos? Of course, not everyone has time for all these actions, that’s why we advise you to make use of specialists, who know what to do in your specific case.